Several major Hollywood studios, Amazon, and Netflix have filed a lawsuit against TickBox TV, a Kodi-powered streaming device. The companies accuse Tickbox of promoting their device as a pirate tool, showing users how they can access infringing content. The lawsuit is the first of its kind in the United States. Online streaming piracy is booming and many people use dedicated media players to bring this content to their regular TVs. The bare hardware is not illegal and neither is media player software such as Kodi. When these devices are loaded with copyright-infringing addons, however, they turn into an unprecedented piracy threat. It becomes even more problematic when the sellers of these devices market their products as pirate tools. This is exactly what TickBox TV does, according to Hollywood’s major movie studios, Netflix, and Amazon. TickBox is a Georgia-based provider of set-top boxes that allow users to stream a variety of popular media. The company’s devices use the Kodi media player and come with instructions on how to add various add-ons. In a complaint filed in a California federal court yesterday, Universal, Columbia Pictures, Disney, 20th Century Fox, Paramount Pictures, Warner Bros, Amazon, and Netflix accuse Tickbox of inducing and contributing to copyright infringement. 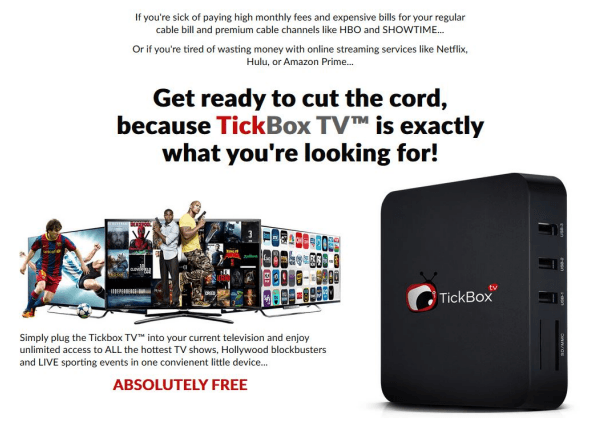 “TickBox sells ‘TickBox TV,’ a computer hardware device that TickBox urges its customers to use as a tool for the mass infringement of Plaintiffs’ copyrighted motion pictures and television shows,” the complaint, picked up by THR, reads. While the device itself does not host any infringing content, users are informed where they can find it. Sick of paying high monthly fees? “TickBox promotes the use of TickBox TV for overwhelmingly, if not exclusively, infringing purposes, and that is how its customers use TickBox TV. 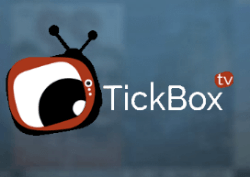 TickBox advertises TickBox TV as a substitute for authorized and legitimate distribution channels such as cable television or video-on-demand services like Amazon Prime and Netflix,” the studios’ lawyers write. The complaint explains in detail how TickBox works. When users first boot up their device they are prompted to download the “TickBox TV Player” software. This comes with an instruction video guiding people to infringing streams. “Some of the most popular addons currently distributed — which are available through TickBox TV — are titled ‘Elysium,’ ‘Bob,’ and ‘Covenant’,” the complaint adds, showing screenshots of the interface. The movie and TV studios, which are the founding members of the recently launched ACE anti-piracy initiative, want TickBox to stop selling their devices. In addition, they demand compensation for the damages they’ve suffered. Requesting the maximum statutory damages of $150,000 per copyright infringement, this can run into the millions. The involvement of Amazon, albeit the content division, is notable since the online store itself sells dozens of similar streaming devices, some of which even list “infringing” addons. 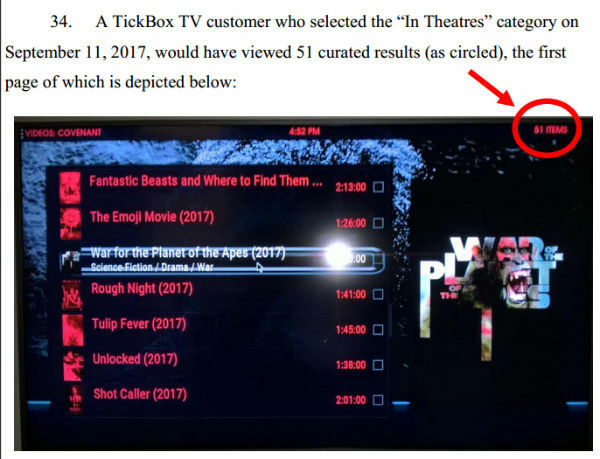 The TickBox lawsuit is the first case in the United States where a group of major Hollywood players is targeting a streaming device. Earlier this year various Hollywood insiders voiced concerns about the piracy streaming epidemic and if this case goes their way, it probably won’t be the last.